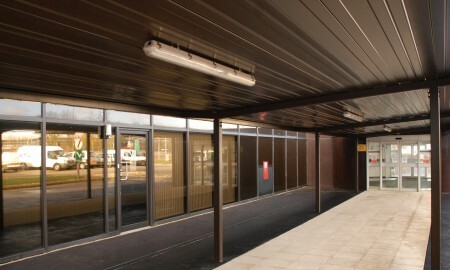 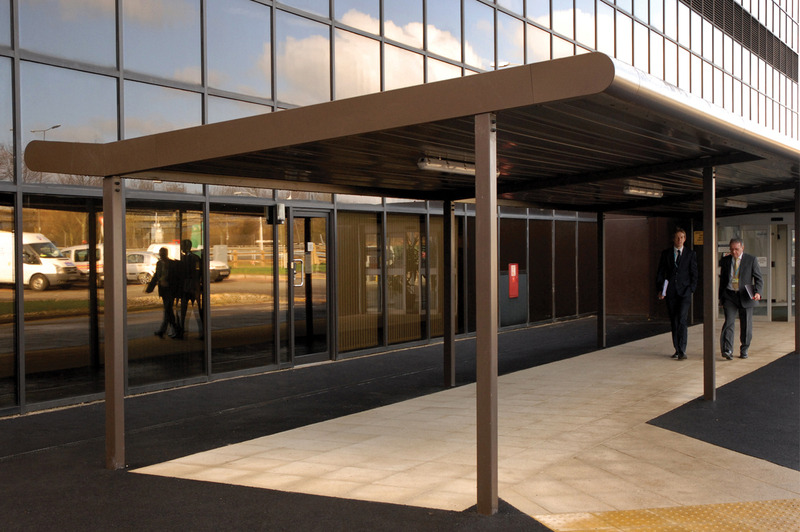 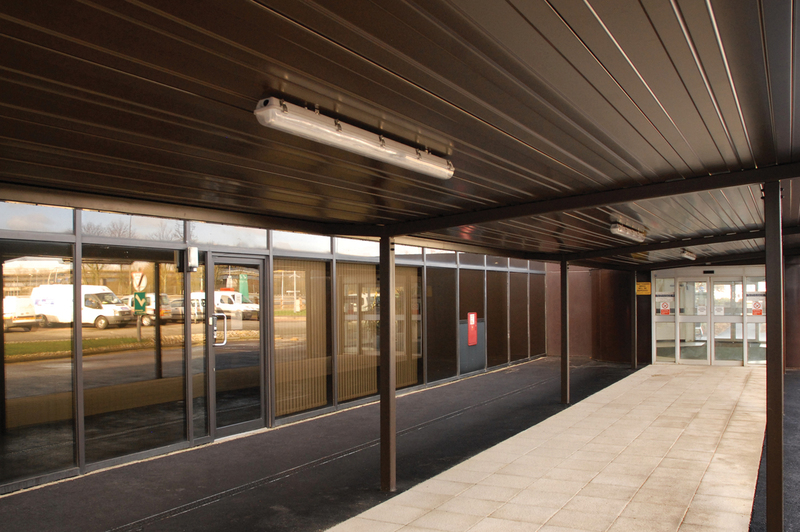 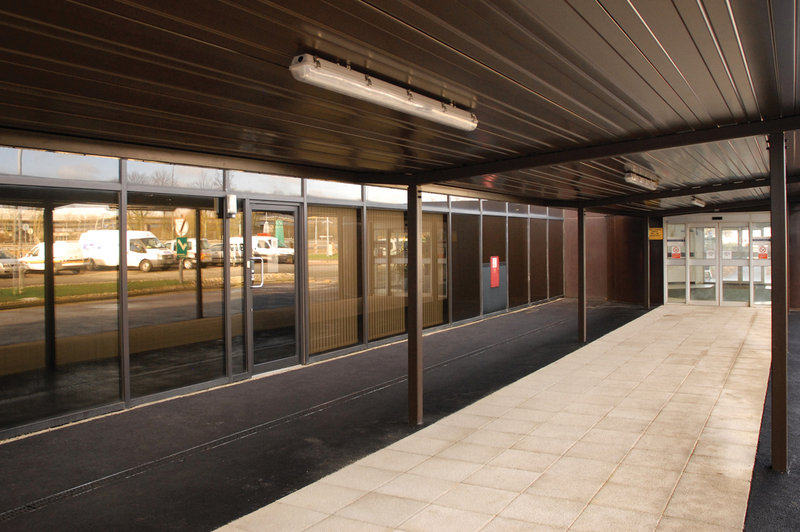 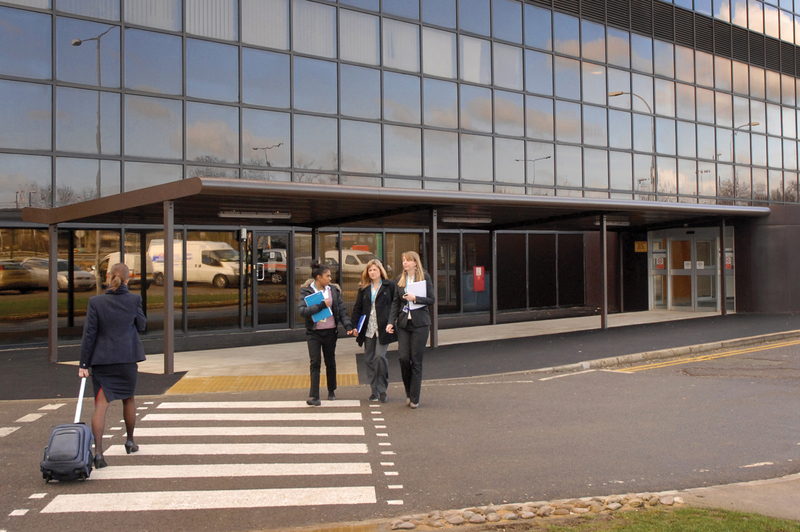 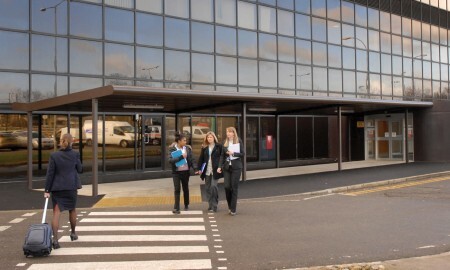 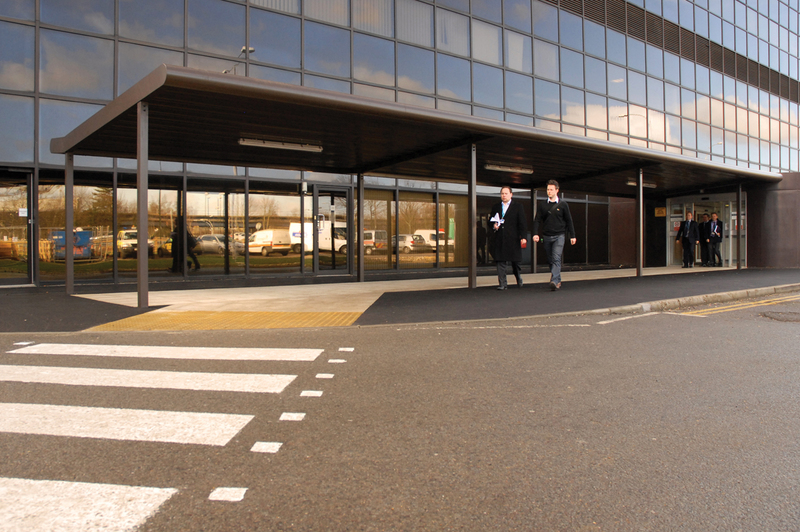 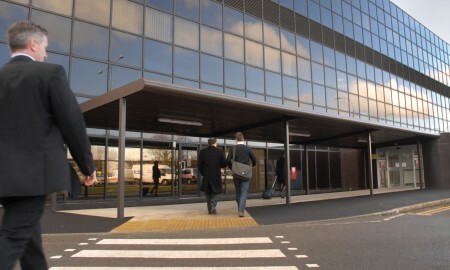 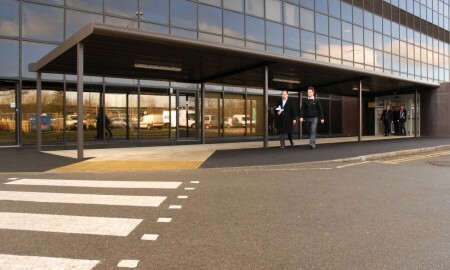 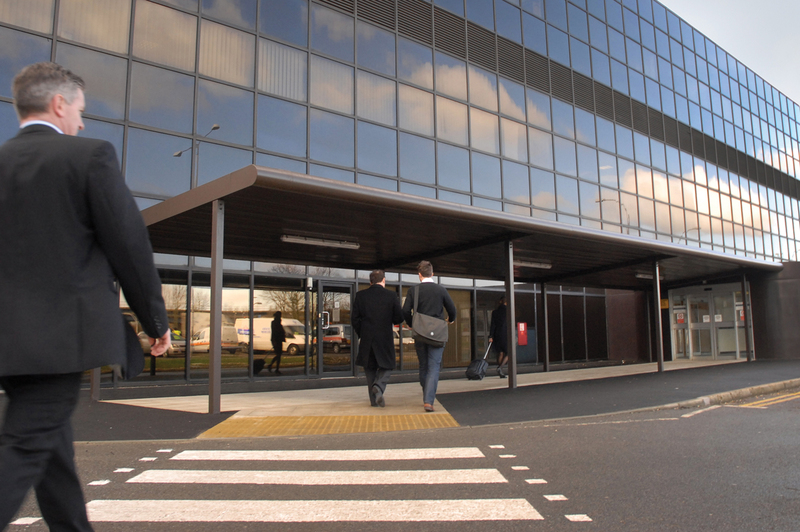 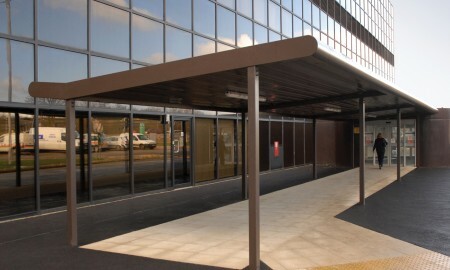 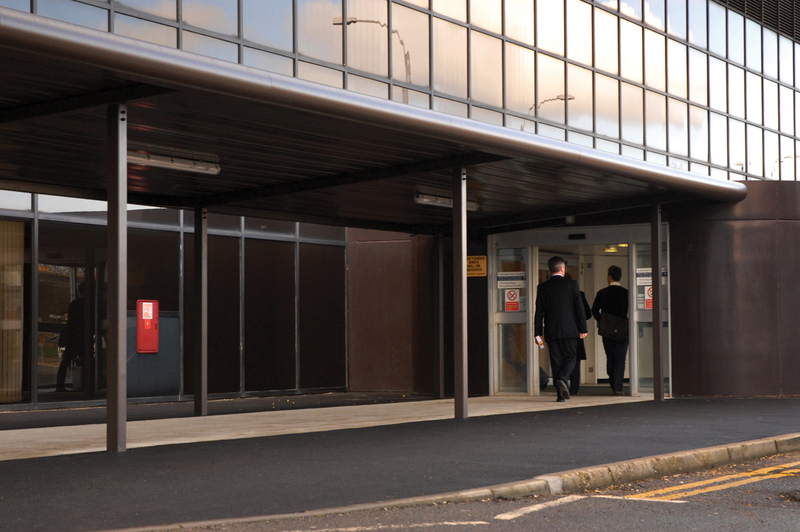 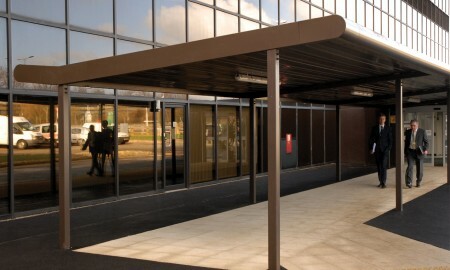 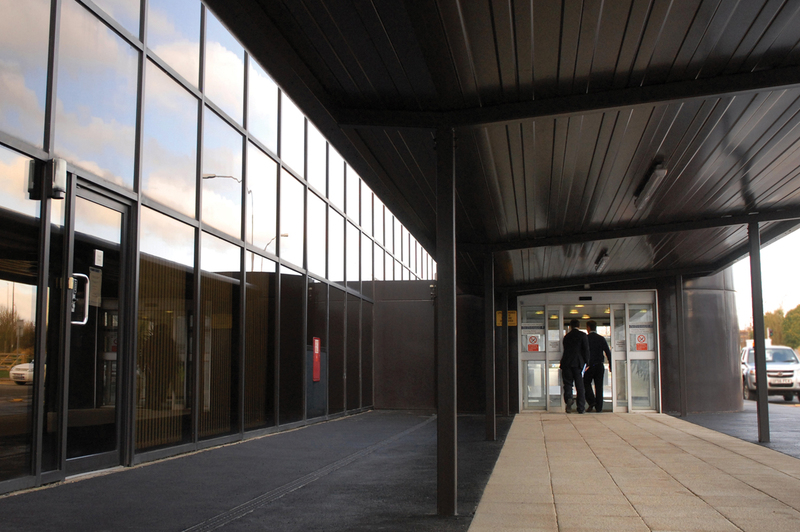 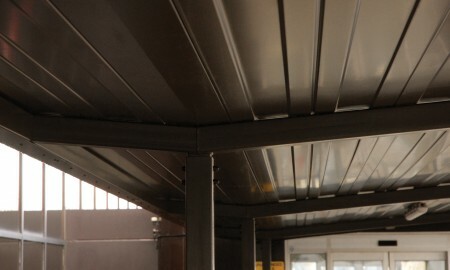 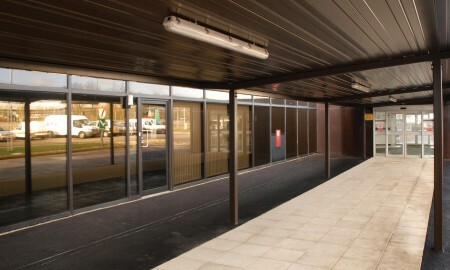 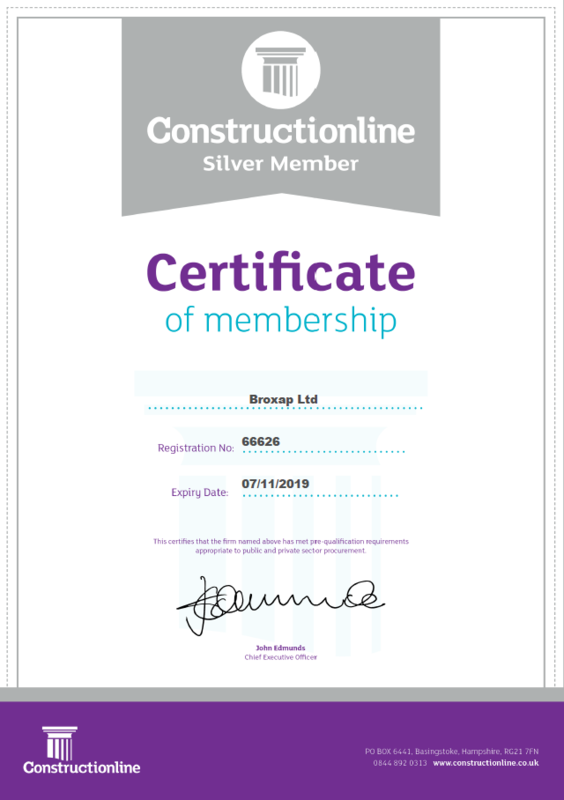 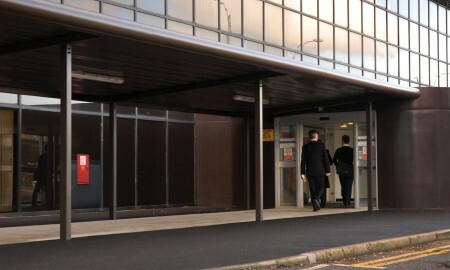 Broxap were commissioned by ROK Construction to design, manufacture and install a canopy to the existing operations building at Ashdown House at the Airport.The canopy design was constructed with a ‘bull nose’ feature to the front and rear of the canopy and a structural planking soffited system was used to minimise the amount of steel work need to construct the canopy. 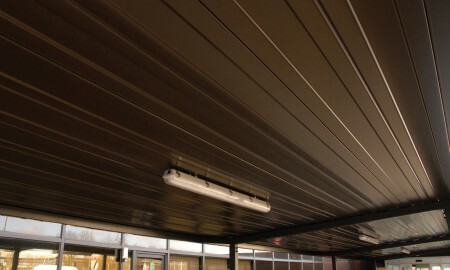 Lighting was also added into the ceiling of the canopy and the whole process took 12 weeks to complete. 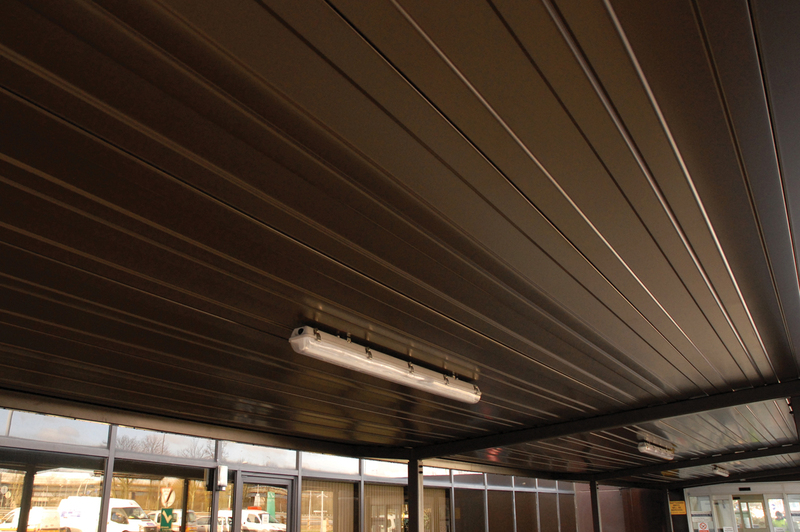 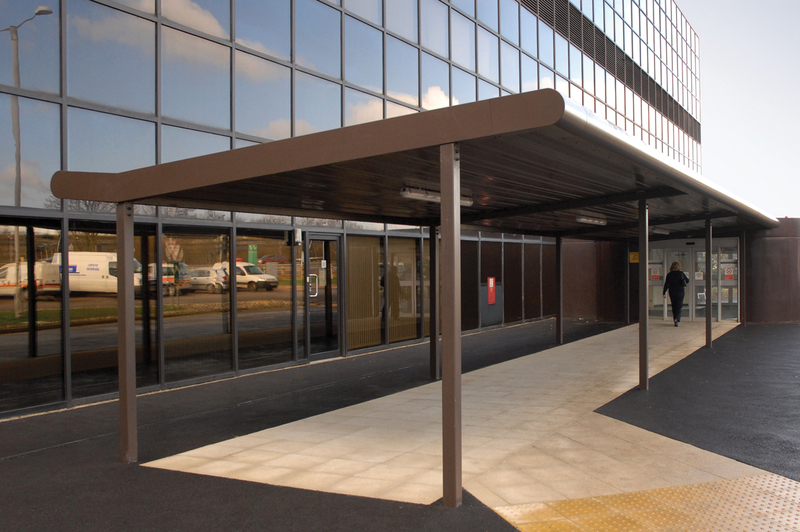 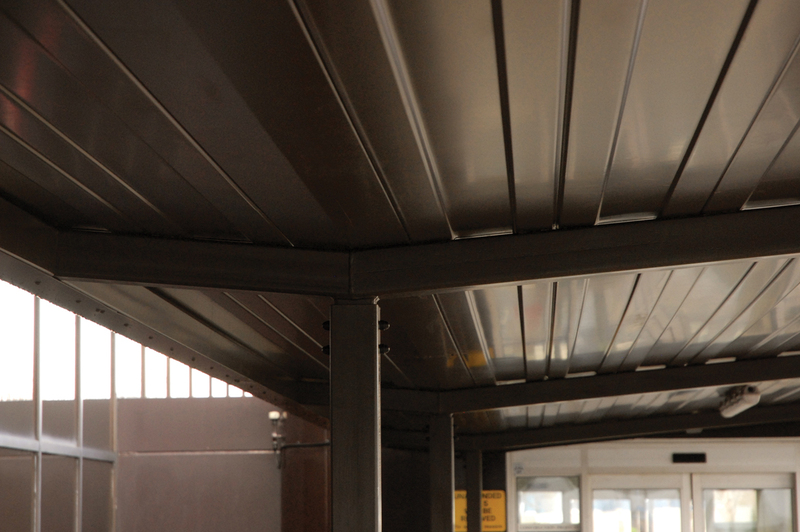 The canopies sleek lines and look fitted perfectly with the existing facade of the building.